Pretty Poison is a bar in Canggu that’s all about youthful fun and the spirit of skateboarding. In a surfer’s paradise like Canggu, skating serves as a perfect alternative for when the waves at Berawa or Echo Beach are uninspiring. As Canggu doesn’t have a full-fledged skatepark, Pretty Poison attempts to pick up the slack. This hip and laidback hangout has a backyard Californian deep bowl style pool it calls the ‘dog bowl’. This serves as the main centrepiece for its regular events and skate jam events. If you love skateboarding culture, music, and simple fun, you'll love Pretty Poison. You can enter the bowl with a board and shred some rounds yourself. Even if you don’t skate, you can still admire the quirky industrial chic interiors, order a cold beer, and watch some local dudes get in the bowl and put on an extreme sports spectacle. Come as you are and make new friends. 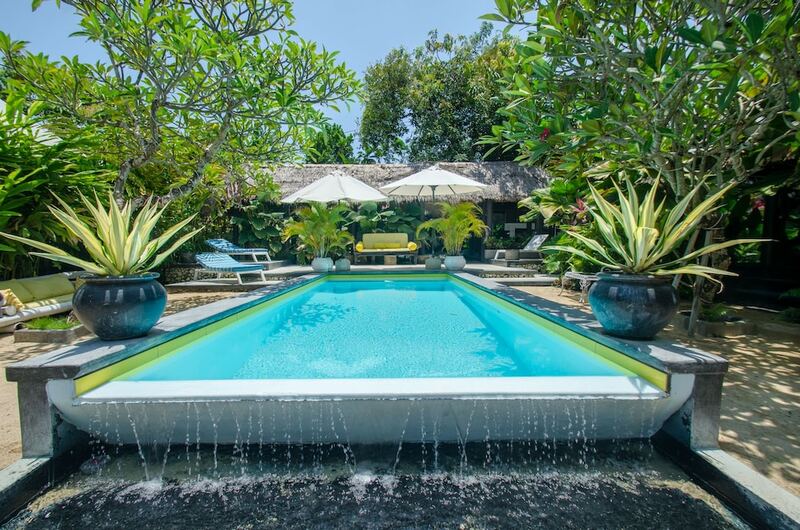 Around the pool, you have different spots to choose from, ranging from cushioned sofas to tables and stools crafted out of refurbished oil drums. The onsite bar serves up cold beers and light bites. When there’s not much happening around the pool arena, you can simply choose a spot and enjoy some bangers and mash. Weekly skate jams attract the biggest crowds (a good mix of local skaters and Canggu expats), with live bands and DJs at the bowl, and jugs of cold Bintang available at USD 7.20 (IDR 100,000). Mondays are movie nights. Tuesdays feature open mics and vinyl. And, if you’re looking for maximum fun, head down on Thursdays for live bands, DJ sets, skate jams, and interesting creative exhibits. You can even get a tattoo done by onsite artists as you enjoy your beer!